Tuesday, 7 January 2014: Two Hundred and Eighty One Days Old. I put Ayla in her walker this evening to keep her occupied while Hubby and I had dinner, and after scooting around the kitchen for a bit she toddled off into her room. 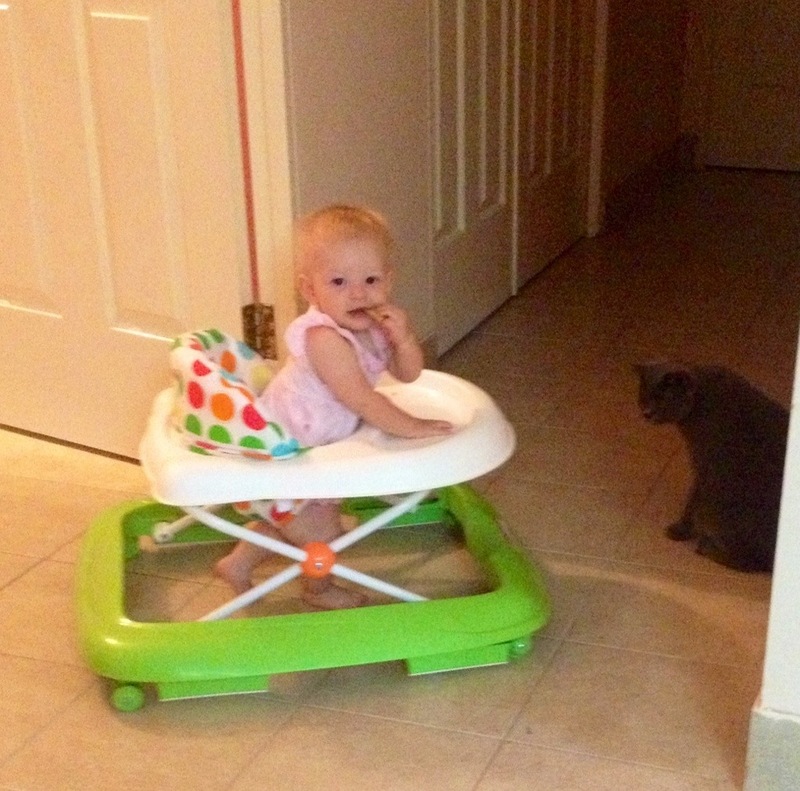 Ayla was being a bit too quiet for my liking so I snuck in there and caught her trying to share her banana chip with the cat!! Oh my goodness, poor Cat Cat is in so much trouble…. After a good sniff she decided she didn’t want the banana chip and promptly left the room. But Baby Ayla followed, and chased, and rammed poor Cat Cat against the hallway walls until she finally freaked out and ran up her scratch post. I was surprised how much Ayla got away with actually, but its only fun and games until someone little, and cute, with blonde hair and chubby legs gets scratched!